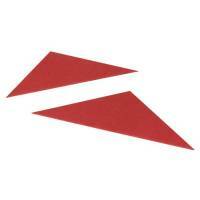 Guildhall Red Legal Corners Pack of 100 GLC-RED Pack of 1 Legal corners for secure stapling. Tough manila adds security to staples. Easy way to provide professional finish. Allows for easy searching through documents. Can be used to create a colour co-ordinated system. Strong 315gsm sprint manilla. 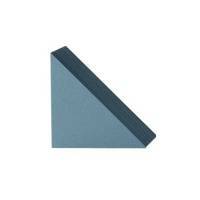 Guildhall Blue Legal Corners Pack of 100 GLC-BLU Pack of 1 Legal corners for secure stapling. Tough manila adds security to staples. Easy way to provide professional finish. Allows for easy searching through documents. Can be used to create a colour co-ordinated system. Strong 315gsm sprint manilla. 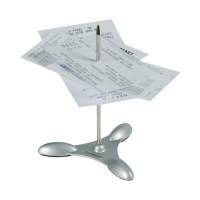 Q-Connect Silver Metal Note Spike 114631 Pack of 1 Q-Connect note spike with metal base. Useful for keeping notes and bills secure. Rubber grip base for stability. 120mm spike. Silver. 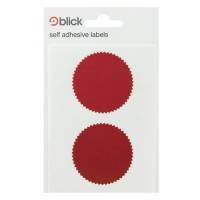 Blick Company Seal 50mm Diameter (Pack of 160) RS014652 Pack of 20 "Blick company seals. Special labels available in retail bags. 50mm diameter, 8 labels per dispenser."